Having been a Star Trek fan for as long as I can remember, when I saw this book I knew it was a must read. Unfortunately I read the introduction almost a year ago, and then it got lost in my giant 'to be read pile', only to resurface this week and be devoured in two days. As a long-time fan it was a fascinating read. Once I started it was hard to put down. From the forward by Leonard H. McCoy to an Afterward by Spock of Vulcan this book will bring back memories. From events we know, to their back story, to personal insight. The book is truly written in the voice of James T. Kirk. James T. Kirk was one of the first hero's I remember having, before movie stars, before athletes, and even before rock stars. This was James T. kirk, a man who believed in himself, and his crew. A man who would try and think his way out of a problem and if he could not was willing to fight, no matter what it took to get the job done. And this book came out on the 49th anniversary of those original stories. 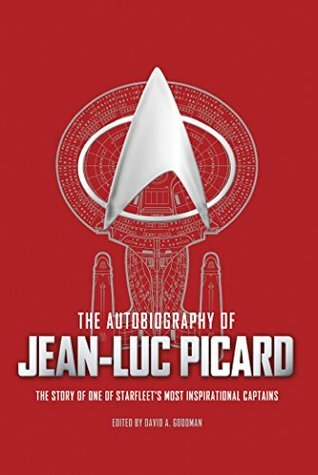 This book stays true to the classic Star Trek canon and pulls from the tv show, animated series and the movies. 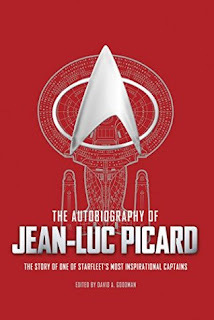 The book is written in Kirk's voice, written as a series of recollections, mostly linear, telling his story in his own words. 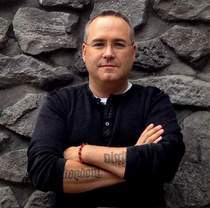 But he also shares a lot of personal reflections both from the time of the incidents and looking back on them. He shares some stories that we are not privy to through any other means. The book also contains a number of photo's, paintings and memorabilia of Kirk and his time. Towards the end of the narrative Kirk reflects: "My collaborator, upon reading an early draft, noted that he was surprised I didn't mention any of the commendations I received from Starfleet, and I had to examine that. I realized that the medals I have do remind me of my victories, and that's the problem. The Duke of Wellington said, "Nothing except a battle lost can be half so melancholy as a battle won." Too many people died for me to win those medals. And all those victories I suppose made it hard for me to connect, to foster relationships and a life. I just kept going back to being a captain. In that chair, I felt like I accomplished a lot; it felt like I helped more people than I hurt. I hope that's true." And he shares those stories and those regrets with us. This book was very well written, it really does read as if we were experiencing Kirk's own autobiography. The editor David A. Goodman has done a masterful job of pulling the stories together and giving a very enjoyable read. It has been a few decades since I have read a Star Trek novel. And even with all the other series and even now the reboot of the franchise, there is something about classic Kirk that will always strike a chord. While reading this book I could not help but picture William Shatner narrating the book. For a life well imagined, and the inspiration is has provided thank you! Well worth the read for fans both old and new!